Even the most basic makeovers could easily set one back a tidy 5-digit sum. Sigh. Which is why every homeowner's worst nightmare is having to pay a chunk for sudden, hidden expenses! When you have spent years tirelessly saving, the last thing you want is to bust that hard-earned budget for something you didn't think about. Save yourself the unnecessary heartache and plan smart - take note of these 7 commonly overlooked extra costs that might jack up your renovation! Yes, having enough power sockets is a literally a basic necessity in any modern home today. But do not go overboard installing as many convenient electric points as possible - you might get a shock when the bill comes! Most homeowners forget that with more power outlets, means more work (and expenses) in pulling and re-wiring cables to supply electricity to those areas. In general, electric works, including supplying and installing parts like your data, telephone, SCV (TV) cables, lighting and fan points will take up a couple of thousand dollars in a renovation. Once you have mapped out your home's wiring, those unsightly telephone, electric and LAN cables dangling around need to be organised in place; and that means extra expenses. Especially if you are going for a clean uncluttered style, a wall concealment for your wires might cost you a pretty penny - ranging in the hundreds. Why do wall conceals cost almost two times more than the usual trunking or hidden cornice? 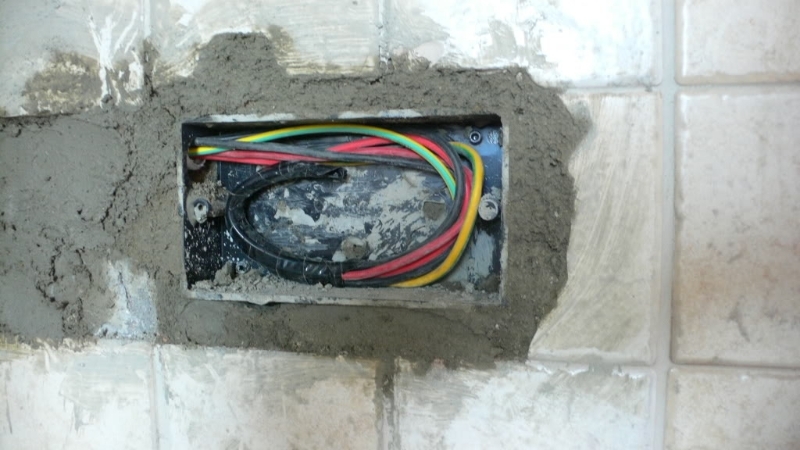 Due to its more elaborate treatment - walls need to be hacked to insert the cables, then plastered back up again. Does a half-wall warrant a half-price discount? Hate to break it to you, but partial hackings like these cost around the same or even more than an entire wall hack. Simply because there is more work to be done in a half-wall; Said wall has to be hacked down completely (since no one can possibly lop off a wall perfectly in half), then built up again to the desired level. Set aside a sum of $300 - $500 for one wall. You might have set aside an amount for getting a brand new set of doors, but do remember to save some money for removing your old ones too. 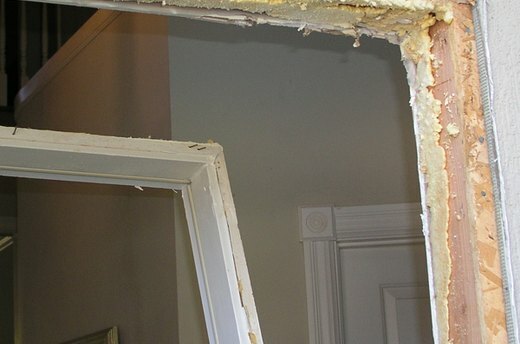 Yes, that's right - interior designers or contractors charge accordingly for every door frame they have to dismantle, on top of the supply and installation of new doors. Whether it's drilling, knocking down walls or installing fittings, heavy duty renovation works will put your floors at risk of scratching or damage. Introducing the next hidden expense - floor protection! Most interior designers will opt that in your renovation, and the treatment usually entails covering your floor length in protective film, plastic boards or sheets. Depending on the size of your home, this item can cost starting from a few hundred dollars. A house does not become a pristine, blank canvas overnight. Before you can even arrange your furniture, you will need to get all those debris and waste away - and a sweep won't cut it. Most of us will not think of debris or haulage removal until needed. And it can get costly, due to the manual labour for carrying out heavy rubbish, and lorry rental to transport waste. Depending on your home's size and the extent of works (like structural changes), removals can go as high as the thousands. Think of it as paying for specialised cleaning services; A totally overlooked cost, chemical/acid washes are usually offered by interior designers after major works like flooring and painting have been done to clear grime, paint or cement marks. Considering the equipment, labour and materials used in this process, it's little wonder why chemical washes can easily add to your spending, starting upwards from $200. With hidden expenses constantly lurking about in a renovation, it can be tempting to get an affordable package that has the basics covered. But is everything as simple as it seems? Here are 4 more facts about renovation packages that could potentially bring you more trouble than convenience. Have a better idea of how much you should spend on your renovation? We can match you up with the right designers, based on your budget. Simply drop us a quote request, and we'll match you up with 5 relevant interior firms! All recommended firms will be covered under the Qanvast Guarantee, up to $50,000. For more useful renovation and home decor tips, download the Qanvast app, available on the App Store and Google Play, and read them on the go! Save More on Renovation With These 9 Budget Hacks! Stretch that dollar (and potentially save thousands on your renovation). Here, interior designers dish in on 9 money-saving hacks in our renovation price guide. Bills, bills, bills. Worried about the upcoming water price hike in July? These 6 home hacks will help reduce your water usage - PUB has got nothing on your finances, now!